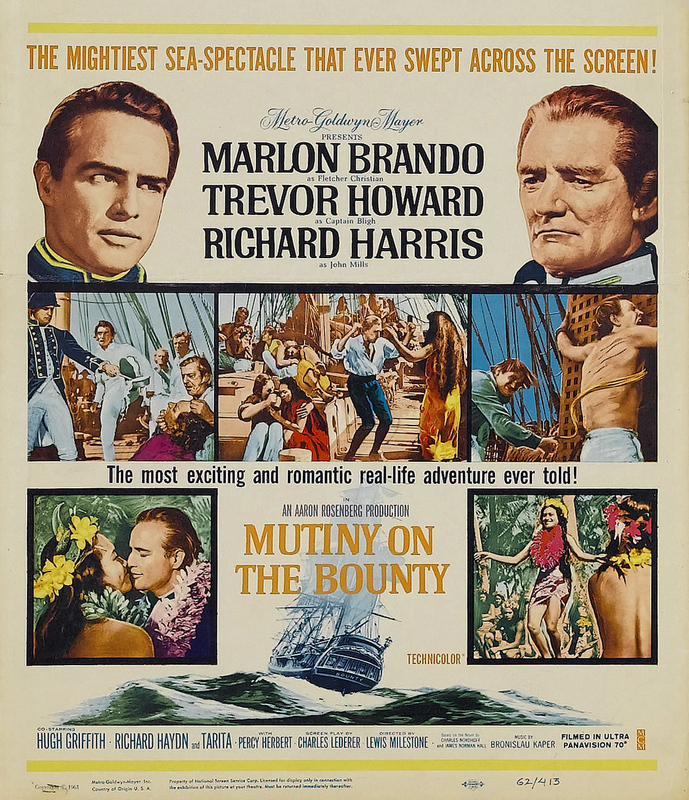 On April 28, 1789, mutineers on H. M. S. Bounty, led by Fletcher Christian, dragged Lieutenant William Bligh from his bed. They set Bligh adrift in an open launch with eighteen men. A capable but tyrannical leader, Bligh managed to guide the little boat 3,600 miles to safety in the Dutch Indies (Indonesia). The mutineers, however, headed for Tubai, an island south of Tahiti. Reception was hostile and, after a trip to Tahiti and back, in which the mutineers picked up some native women and men, and at least one child, they abandoned Tubai and sailed back to Tahiti. Some of the sailors had not been mutineers at all and elected to stay on Tahiti. 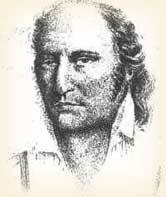 Eight accompanied Fletcher Christian to parts unknown with the women and with six Polynesian men. But all was not well in paradise. The mutineers all fought with each other, and with the native men and women (brought from Tahiti), until all the men were dead except two: Edward Young and John Adams (also known as Alexander Smith). Ashamed of the violence and horrors they had witnessed and had partaken of, the two remaining mutineers began to read the Bible (which became their textbook) and to teach it to the children who had been born to the settlement. By the time Folger arrived, Young also had been dead several years, dying of an asthma attack. Adams was patriarch of the clan. Thanks to his continued efforts, the older children were able to read and write a little (Adams himself was poorly educated) and the whole community was devout. The hard conditions of the island, which could not be neglected if it were to produce enough food, and their continual grounding in the Bible stories, had made the Pitcairners a serious, although good-humored, community. The gifts they most wanted from Topaz were books, and the whaler managed to provide them with 200 which the islanders received with the greatest delight. In 1887 the island’s entire population converted to Seventh Day Adventism by missionairies. 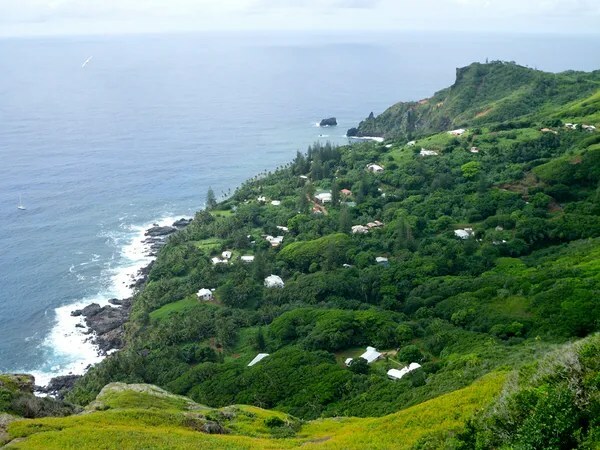 In order to fully appreciate the Pitcairn story, it is necessary to keep before the mind’s eye the contrasts which it presented. What could be more remote from the murders and crimes of the early years upon the island, than the settlement as it developed under John Adams, in peace, godliness and comparative innocence? Or, again, contrast the day-to-day life of this tiny, isolated group of human beings, as it flowed on in even monotony, with the wars and rumors of wars and great events which in the same years stirred the whole outside world. 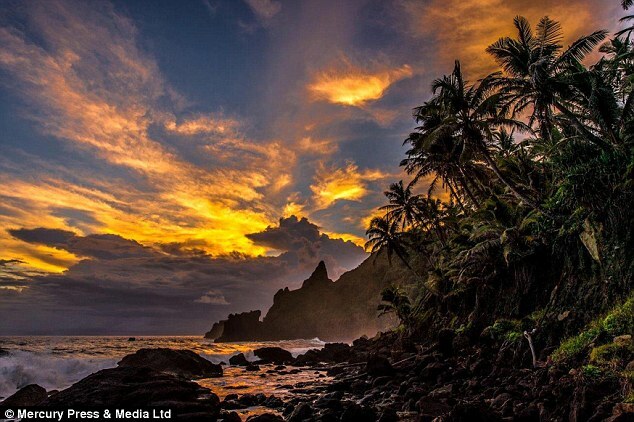 Pitcairn might have been on another planet! Galatians 5:19-25 — The acts of the flesh are obvious: sexual immorality, impurity and debauchery; idolatry and witchcraft; hatred, discord, jealousy, fits of rage, selfish ambition, dissensions, factions and envy; drunkenness, orgies, and the like. I warn you, as I did before, that those who live like this will not inherit the kingdom of God. But the fruit of the Spirit is love, joy, peace, forbearance, kindness, goodness, faithfulness, gentleness and self-control. Against such things there is no law. Those who belong to Christ Jesus have crucified the flesh with its passions and desires. Since we live by the Spirit, let us keep in step with the Spirit. Isaiah 42:10, 12a — Sing to the Lord a new song, his praise from the ends of the earth, you who go down to the sea, and all that is in it, you islands, and all who live in them… Let them give glory to the Lord.